Gold or Tin versus Gold and Tin? You may have already read about my 50:50:50 rule when it comes to the choice using tin plated surfaces versus gold plated surfaces in connectors. This rule says tin is the more economical solution if you have less than 50 contacts (mating forces), if you can live with 50 mating cycles (contact normal forces), and if you do not expect less than 50 milliohms contact resistance over life time. The higher contact normal forces for tin plated surfaces (>2 Newton end of life) result in higher mating forces which limit the amount of contacts in a given connector and the un-noble tin does have a higher contact resistance, compared to gold or nickel palladium. Especially the 3rd item created a lot of confusion in the industry when lead-free tin surfaces were introduced years ago. 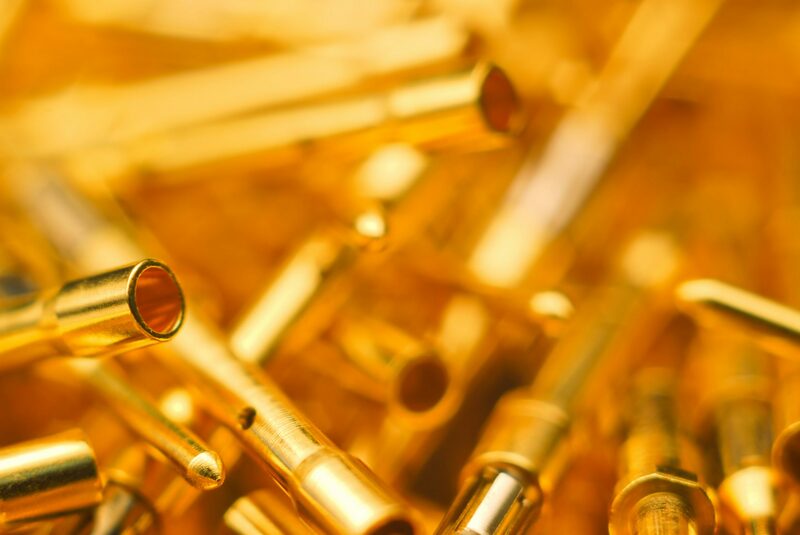 FFC connectors do have contact spacing below 1mm and the connector industry strongly recommended the use of gold-plated FFC connectors which connect either FPCs or FFCs, however, the cable industry was not yet able to supply gold plated FFC cables. So some designers were forced to mate gold-plated FFC connectors with tin-plated FFC cables, a mortal sin when it comes to reliability! Gold and tin in one mated connector system is a no go. The behavior of these two platings is not well researched, however, the standard electrode potentials tell you that the contact point will corrode (gold = +1,5V tin = +0,15V – look at your rainwater gutter when copper meets zinc) and the reliability is gone. I would stay away from the mixed metal contact. It’s never recommended that gold be mated to tin. If it’s unavoidable, than use a lubricant to mitigate the effects due to oxidation and fretting corrosion. This should be tested thoroughly using appropriate thermal cycling and vibration tests. In addition, immersion tin over copper may not be adequate, as significant intermetallic compound formation (IMC) may occur, which would decrease the reliability of the system. Needless to say, since the system seems fairly well sealed (and assuming outgasing of the package is not an issue), the gold-to-gold system would be expected to be the most reliable (and I assume reliability is very important for safety reasons). On the other hand, a good tin-to-tin system with no IMC issues may work as well (unless fretting corrosion is a problem). Since the system looks fairly well sealed and mechanically stable, fretting may not be a problem. However, to be sure, testing for fretting should be done. As mentioned above, appropriate thermal cycling and vibration tests should be conducted. As a safety factor, if tin-to-tin is used, I recommend using nickel under plate and a lubricant to reduce the impact of oxidation, fretting corrosion and IMC formation. In summary, my first recommendation is to use gold-to-gold. Tin-to-tin may work but needs to be thoroughly tested for fretting corrosion, oxidation and IMC formation. Gold-to-tin is not recommended as it is well know that the reliability risk is greatly increased when these dissimilar metals are mated. Nothing to add to these statements. So when it comes to plating surfaces, prefer gold-to-gold (nickel-palladium-to-gold is tested and accepted in the industry! ), use tin-to-tin when cost is an issue, but do not use mixed platings within the same connector system.